The PARsource Lighting panel and cabinet is designed and built to your specific greenhouse lighting project. The cabinet is UL/CSA rated and comes with a full set of engineered submittal specifications and drawings. The panels include high quality components that are rated for demanding HID and other greenhouse lights ensuring the proper performance when compared to standard lighting panels. The panels are enclosed in your choice of metal or non-metallic NEMA rated cabinets with cooling fans to ensure equipment protection and safety and proper performance. 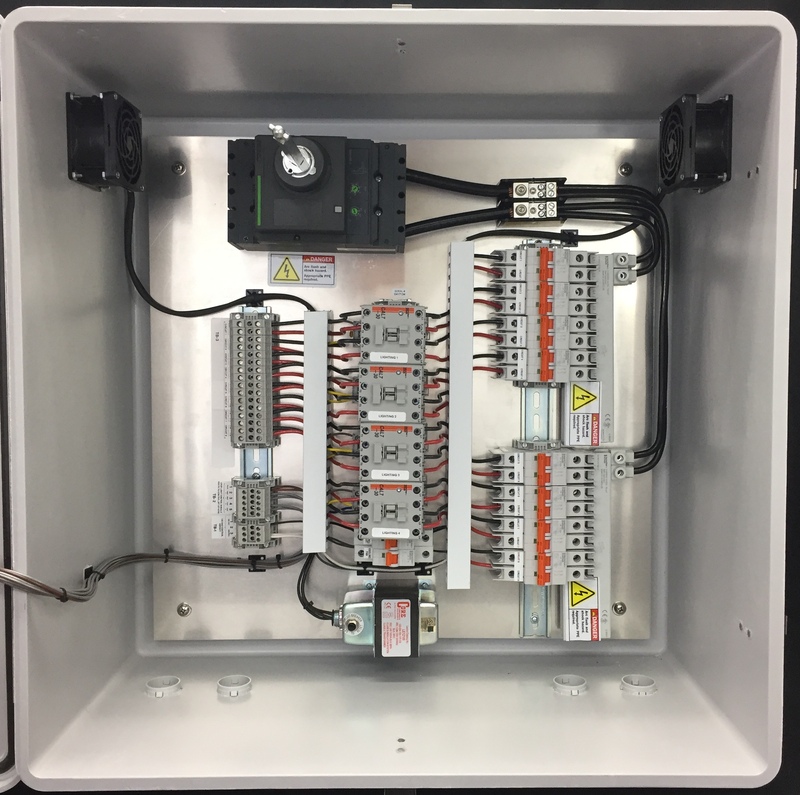 Optional add-ons include voltage monitoring and data logging, run time meters, manual shut offs and over voltage shut-offs. Each panel is designed to easily connected with any known greenhouse controller.